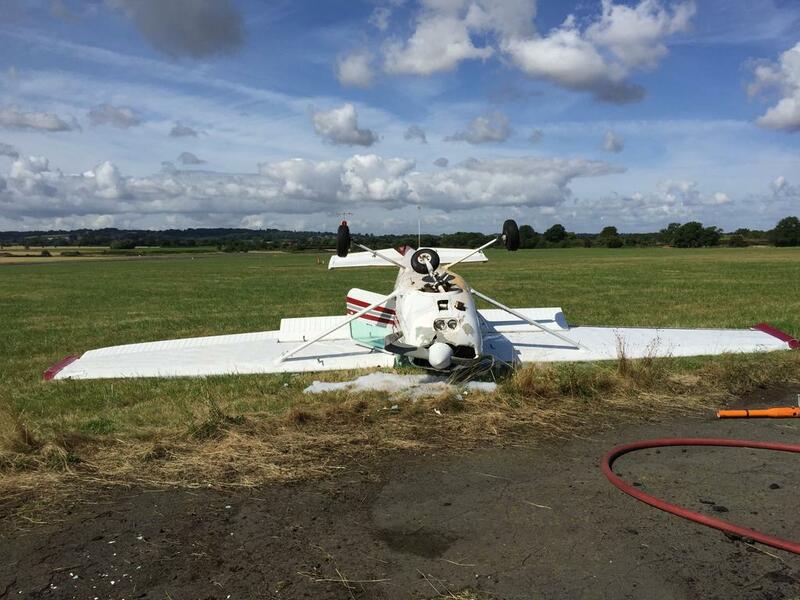 A pilot has walked away with barely any injuries after his plane flipped over and landed on it's roof at an airfield in the Black Country. The ambulance service were called to Halfpenny Green Airport in Wolverhampton at 10.25am yesterday (16 August). A single engined Cessna light aircraft was upside down by the side of the runway but its pilot had got out. After being checked over by a doctor from the the Midlands Air Ambulance he was found to be unharmed and was discharged at the scene. An ambulance crew, a paramedic area support officer and the Midlands Air Ambulance, based at RAF Cosford, had been sent to deal with the crash. In a statement West Midlands Ambulance Service said: "The pilot, a man in his thirties, got out.